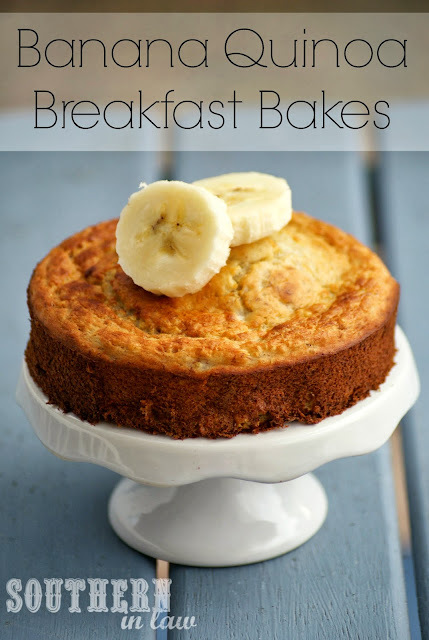 As you know, I'm the breakfast bake queen - so it's only natural that my guest post over at Cooking Quinoa is for a Banana Quinoa Breakfast Bake Recipe! Head over there to take a look at the recipe - and be sure to let me know what you think! The recipe is low in fat, sugar free, gluten free, vegan and SO delicious! Brooke, I'm so glad you said that as it's my ultimate goal with the blog. As you know, I too struggle with food allergies as well as coeliac disease, so I know how hard it can be to find delicious food that you can eat! Delish! I'm always looking for ways to vamp up my quinoa. It's the perfect way to vamp it up! Thanks for the idea of baked quinoa. It's a good way to incorporate more fiber and protein into your breakfast and it looks great too. It is! Thanks for taking the time to leave a comment, Chris!